Thank you so much to Ecco Press for providing my free copy – all opinions are my own. This is a stunning psychological suspense debut that reminds me so much of Patricia Highsmith who I LOVE! And for full transparency I should disclose that I am a categorical fan of the psychological thriller genre, and TANGERINE is one of my new top favorites! Gorgeous, mysterious prose that you can just sink your teeth into. The story is set in the 1950’s and centers on a friendship between Alice Shipley and Lucy Mason. Alice moves to Tangier, Morocco with her new husband, and Lucy, an old college roommate, just shows up one day uninvited. As it becomes apparent that Lucy has no plans to leave, tension rises. What happened in the past that made her come to Tangier? The novel is divided up into three parts and the chapters alternate between Alice and Lucy. The descriptive language and imagery give a full color visual of the setting and the character development is superb. 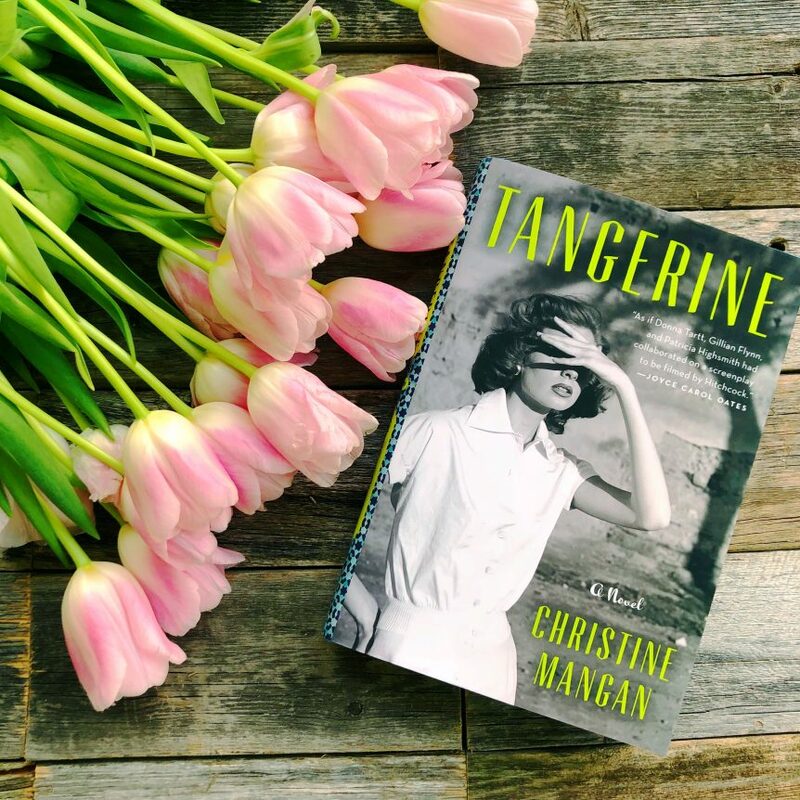 I absolutely love Mangan’s writing style and as we delve into the women’s past, I enjoyed slowly peeling back the layers of this story. With a devious, chilling, and murderous plot, I thoroughly devoured this book in one sitting! And can we just take a moment to appreciate this BEAUTIFUL cover?!! It’s breathtaking!